Warmer temperatures are finally upon is, but with it comes more rain, which can lead to potential home flooding. Excess water can come from a variety of places – in the form of rain or other precipitation, underground from a high water table or sewer back-up, or rising creek waters. It’s essential to clean out the build-up of debris that’s accumulated in your gutters and downspouts all year long. Anything that’s blocking the flow of water during heavy rain storms will eventually overflow and potentially seep into your home. 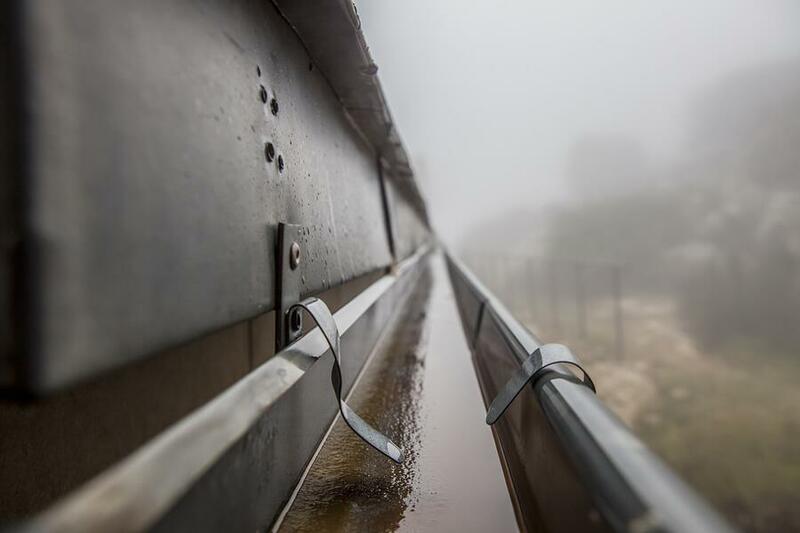 If you have a significant number of trees in your yard, it may be wise to invest in a gutter guard system that prevents organic matter from settling. Inspect the ground around the perimeter of your home to be sure the soil slopes away from the foundation. Exposure to the elements and gutter overflows can cause the ground to settle allowing rainwater to lie along your basement walls. 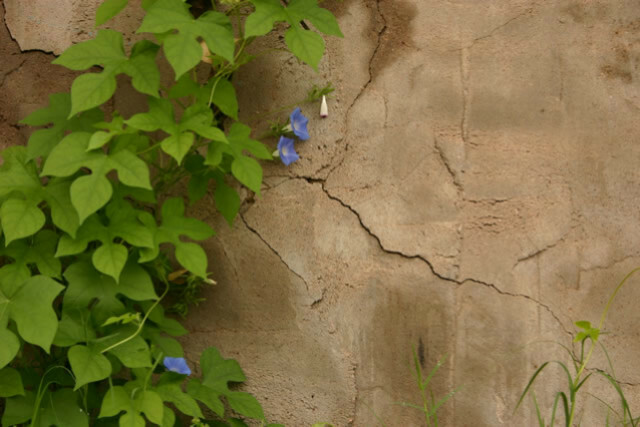 Excess hydrostatic pressure can create foundation cracks and water infiltration. 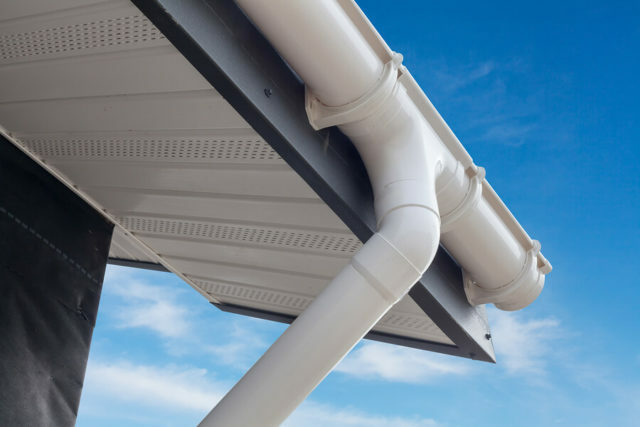 If you don’t already have them, adding 10’ diverters to your downspouts can help redirect roof water away from your home. Severe wind like the storms the GTA saw recently can wreak havoc on the exterior of your home and your roof can be compromised. As the main barrier against water infiltration and flooding, it’s important to perform regular roof maintenance to be sure you’re protected. Shingles: High wind and rain can cause your roofing shingles to become loose, cracked or blow off. Roofing underlayment can then become exposed to adverse weather conditions and allow water to enter your home. Leaks can cause electrical hazards, dampen the insulation, rot the framing, or cause dangerous mold and mildew to form. A major leak could cause your attic to flood and seep into the living area below. 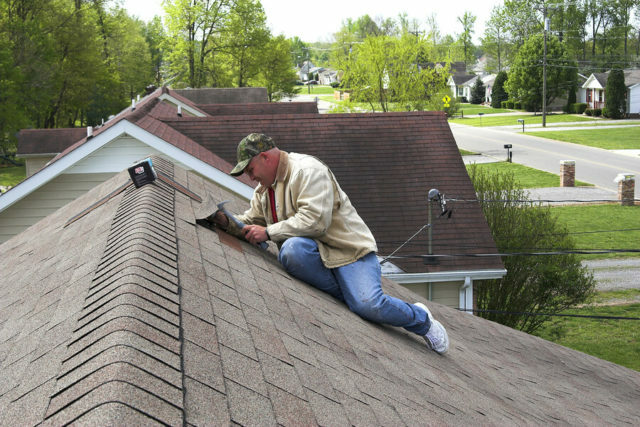 Check for shingle damage, especially after a storm or high winds and repair or replace any compromised areas immediately. Moss and algae: If your home is heavily shaded, you may notice moss or algae growth. This living plant will form shallow roots that penetrate your shingles and will keep your roof damp. Prolonged exposure will lead to rotting and shingle deterioration and shorten the lifespan of your roof. It’s important to remove it (consider having it professionally removed to avoid damaging the shingles) to maintain the structural integrity of the shingles. Tree branches: Trim any branches that hang over your roof to prevent damage from broken limbs or falling trees. As your home ages, you may start to notice leaking windows when it rains. Seasonal temperature changes, exposure to sun, wind, rain and snow, plus normal house settling can all cause problems with damaged frames, glazing seals and gaps. These can all lead to water leaks and flooding during the rainy season. Entry doors can also be a source of water leaks and flooding during heavy precipitation unless equipped with rubber weatherstripping and door sweep. 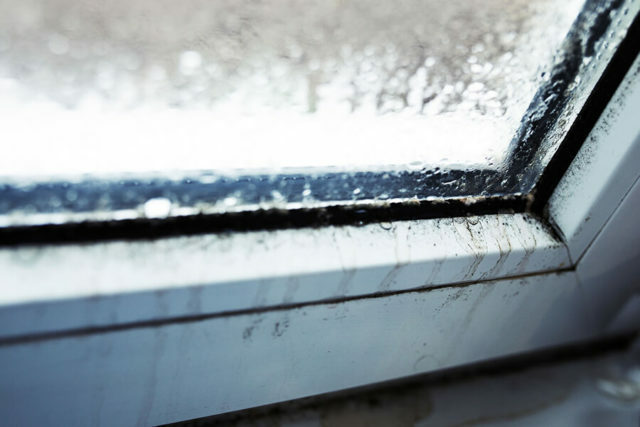 Even if you haven’t had any problems with water leaks around your windows and doors, take a few minutes to inspect each to prevent home flooding issues. 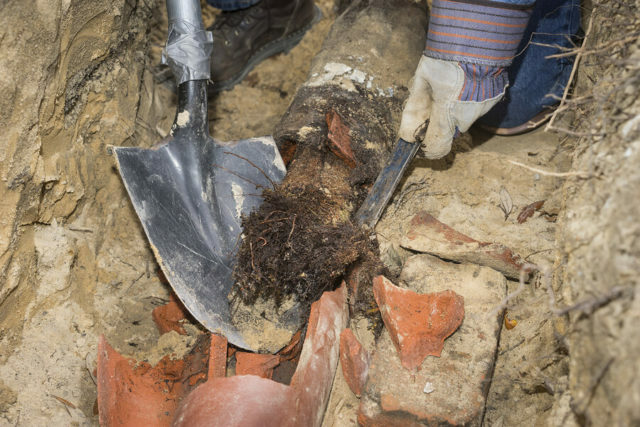 CONSIDER installing a backwater prevention valve in your basement sewer line. It will allow sewage to pass through but never flow back into your home. This work should also be performed by a certified plumber. Foundation leaks and cracks: Several factors such as settling, the freeze-thaw cycle and hydrostatic pressure can cause structural leaks and cracks to form. Even small fissures can allow water into your basement and cause flooding. Not only will any belongings be at risk of damage, toxic mold can grow within two days of the flood. Small cracks can be repaired with concrete patch and larger ones can be rectified with hydraulic cement or epoxy. Cracks larger than 0.5” wide should be corrected by a professional waterproofing company. Sump pump: The best defense against basement flooding is a properly functioning sump pump. Spring storms often lead to power outages that can leave your home at risk. To provide peace-of-mind, invest in a battery-powered sump pump. New models are reasonably priced and connect to a cell phone app that will notify you if the power goes off or the pump is not working properly. Windows and window well drains: If you notice water dripping or water stains around your basement windows, especially after a rainstorm, you may have major cracks or leaks. If you have below-grade window wells, your drains may be clogged and overflowing through the windows. In either case, you’ll need to address the issues immediately. Fill small cracks with polyurethane caulking, larger cracks with hydraulic cement or replace older windows and frames if they’re damaged or rotting. Clean debris from window wells and unplug the drain. Install clear plastic covers to stop leaves and other debris from building up without blocking the light. It may seem difficult to predict each year whether or not your home will be safe from flooding during the rainy season, but some regular maintenance and planning should prevent major water problems. Always handle DIY projects safely and consult with a professional if your home floods to determine the best course of action.